Growing up in Utah and raised a member of the LDS Church, Mitchell always believed there was a God, but it wasn’t until later in his life that he gained a testimony and realized how much God truly loves him. Mitchell loves sharing the gospel with others and blogging is one of his favorite ways to do it. He enjoys spending time with friends, family and his pets. Through the Atonement, Mitchell has experienced healing and has found strength in following God’s commandments. Hey Mitchell, I found your testimony on YouTube. After hours of searching for videos to make sense of the feelings and struggles I continually face. I found your video. Your testimony was really emotional for me, as I relate with so many things in your testimony… I’ve never heard of the Voices of Hope website till now. Just wanted to say thank you for making this video. It really touched me. Thanks for sharing your story and the uplifting message that we can be faithful in the gospel of Jesus Christ. At the very end of your video, you mention that you have found ways to have your needs met through God and platonic relationships. Would you please explain more about these relationships? How do you form them? What do they consist of? I’m looking for significant emotional relationships with other men, but don’t know how to go about making them. Mitchell- Thank you is not enough to express my gratitude for your video. Your testimony has helped me understand I am loved by God. I have been dealing with SSA for about 25 years. I am still trying to come to terms with everything going on in my life now. 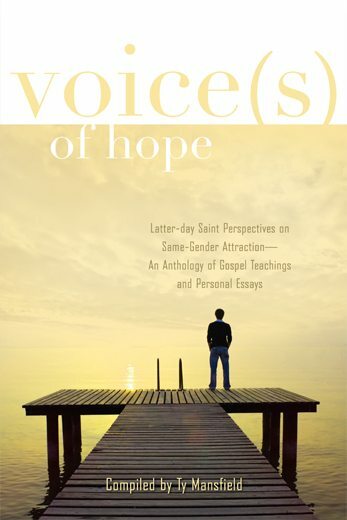 All the videos I have watched on Voices of Hope have been very helpful in my path to understanding. Thank you for sharing your story.